To design a suite of brochures and website for a new office building with a Grade II Listed facade on Chancery Lane, within the area of Midtown. 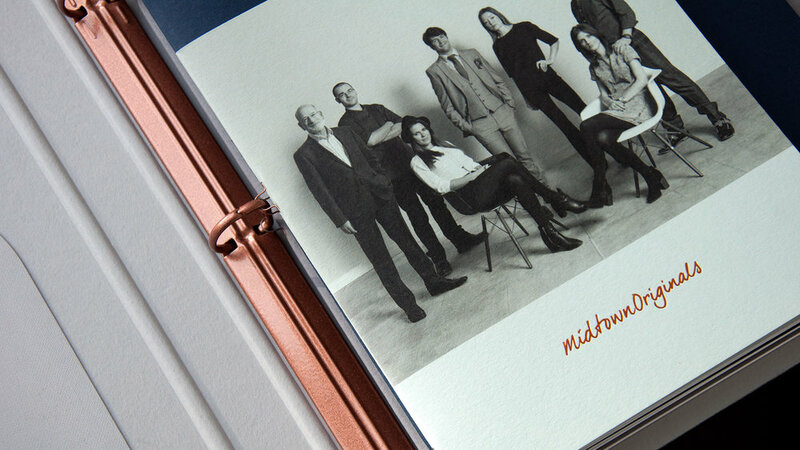 Three brochures housed within a bespoke binder; a building brochure, local area brochure, and a brochure profiling interesting residents of the local area entitled ‘Midtown Originals’. Photography art direction, suite of brochures, responsive website.